I have been happily married to my husband for fifteen years. We met at Brigham Young University on a blind date, and, at first, I was sure he wasn't for me, but now I cannot imagine my life without him. My life is busy, but I try to keep it as simple as possible, focusing on what matters most to me---home and family. I love to read, cook, spend time with my family, and now I can add writing to that list---it is my creative outlet; we all need one. Wow. 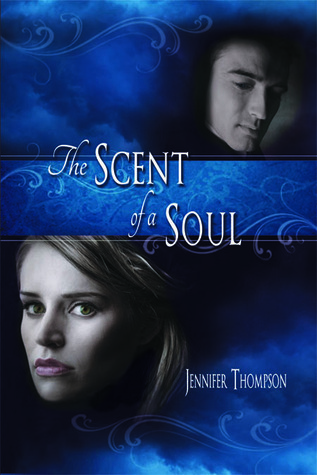 I absolutely adored The Scent of a Soul!!!! It's long. Really Long. Or maybe it just seems that way because the plot is nearly like 3 books in one. I LOVEEEEED it! I didn't want to put it down! Reading into the early morning hours this weekend, I didn't want it to end but I couldn't wait to see how it ended! Now, I'm left wanting more & I can't wait to read Candice & Flynn's story! The characters are great! I adored Marek & Lilliah! Marek - HOT, Scottish, rich, ohh...well, 300+ years old... LOL Did I say Hot? Then there's Patrick, Sam, Flynn, Candice! Even Jack was a likable guy - Plus the multitude of characters that you hardly get to know but love all the same because of the sacrifices that they make throughout the novel! So, in the beginning, you see Lilliah move to a really poor neighborhood - pretty much the slums - that's super dangerous for a woman to be alone. Marek rescues her over and over again from people in the neighborhood! Finally, you find out why she's moved into the slums and alone, escaping her normal life and family back home - her jerk of an X. Total JERK. He reminded me of Lilliah's jerk of a brother. Ugh. When she meets Marek, you can't help but wonder why in the world a rich guy is living in the slums... driving around in a Lexus...wearing nice clothes. There's mystery all around him and his friends. How the heck does he keep magically appearing when she's in trouble? And then BAM - She's thrown into the middle of a war between brothers. You have to give it to him - Marek's brother is a freaking nut job and total bad guy. He wants Lilliah just like he wanted Marek's previous love. Honestly, okay, I thought he was going to be a shifter like a were. I did NOT expect that he would be a vampire. I hope that's not a spoiler? Surely that's not a spoiler, right? I guess the word has to be out that this is a vampire novel so it can reach the right audience. Anyways, the ups and downs that occur throughout the novel made me feel like I had read a book 1, book 2, and book 3 of a series! I loved that it was all put together into one novel! I loved the twists and turns in the plot. The action and emotions (both good and bad) were constantly moving. I never once became bored. Climax: Which one? There's several! 5 Stars! Ending: 5 Stars <- Perfect Ending! Loved the Epilogue!